The sales reps were very helpful and knowledgeable! Always great service & I love their coffee maker! 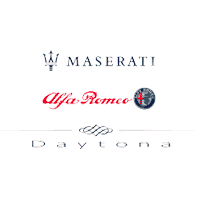 First I would like to say that everyone at Daytona Maserati Alfa Romeo are super nice. They have excellent customer service,and they really do everything in their power to make you feel at home. Mr.Albert Pacheco our sales representative was very knowledgeable and attentive. He met our every need in terms of buying a car.Every employee greeted us,and was extremely welcoming.After buying our car with them we will now be Alfa Romeo customers for life.